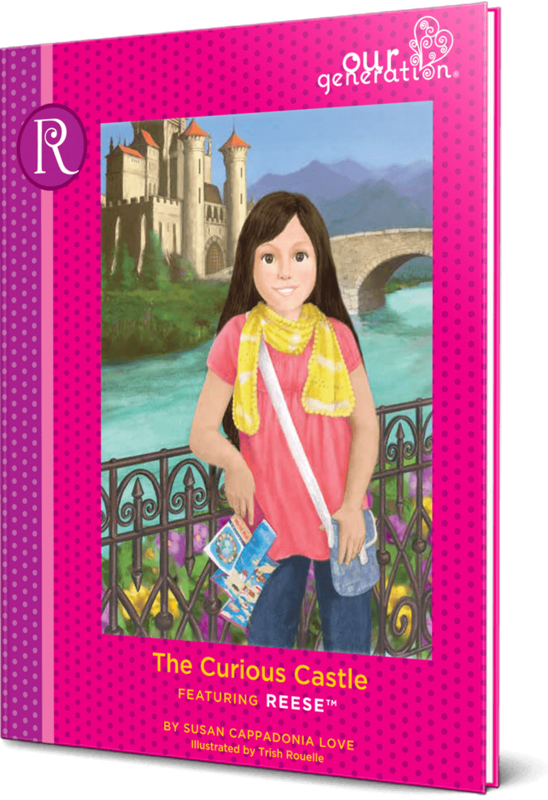 Recreate all the fun of exploring new and exciting countries with the Our Generation Read & Play Set – Reese Book & Outfit! 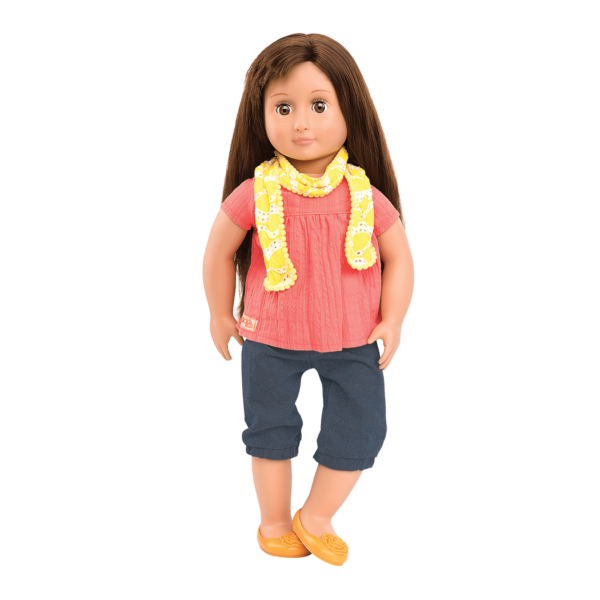 This accessory set for 18-inch dolls lets you dress your favorite doll in Reese’s signature travel outfit featuring a cute pink t-shirt, denim pants, shoes with tiny rosettes, and a yellow scarf. 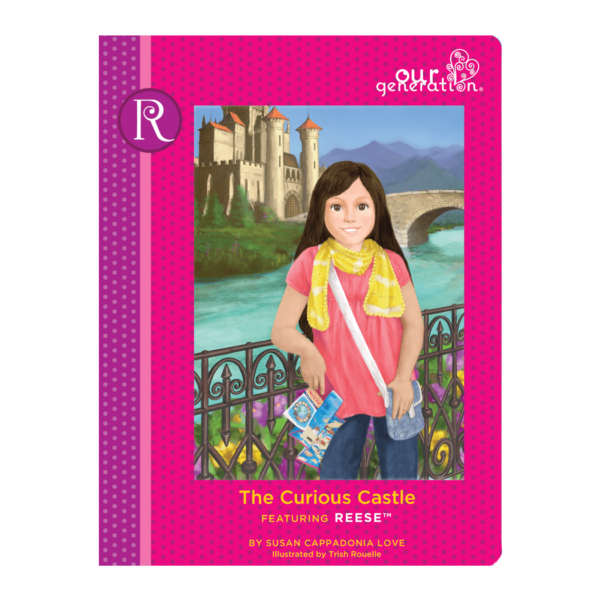 With the storybook “The Curious Castle,” read about Reese’s adventures traveling the world and how she overcame the challenges of leaving her friends back at home. 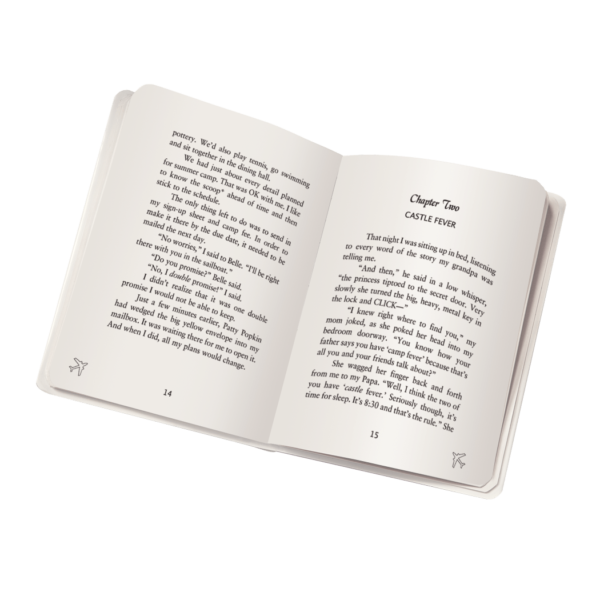 This easy-to-read book is suitable for younger readers, and it is broken into chapters that make it perfect as a bedtime story! Create your own stories with this inspiring collection! 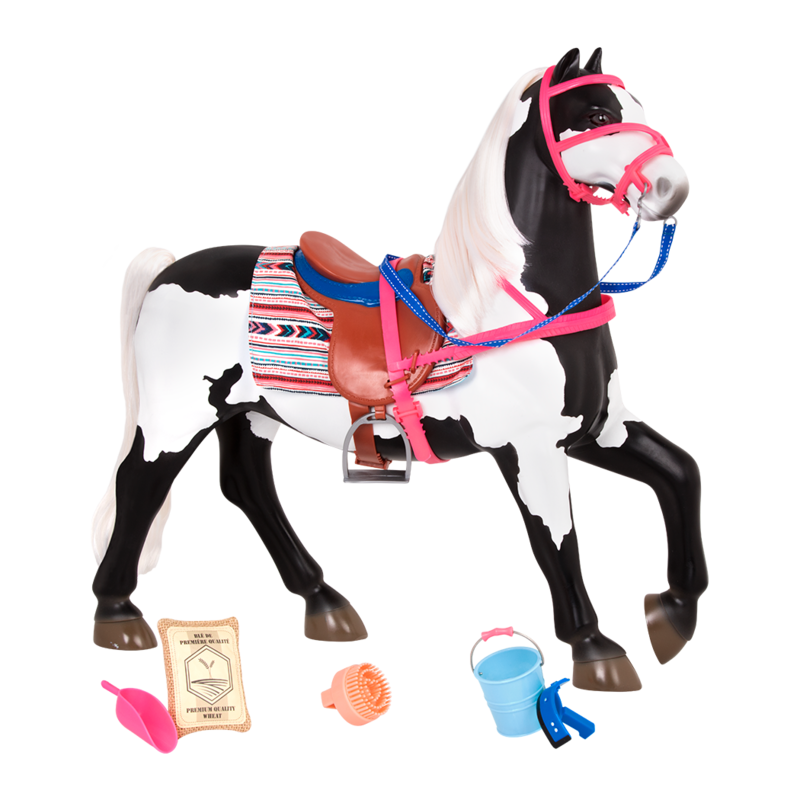 This set lets you dress any 18-inch doll in this cool travel outfit, and play along with stories inspired by Reese. 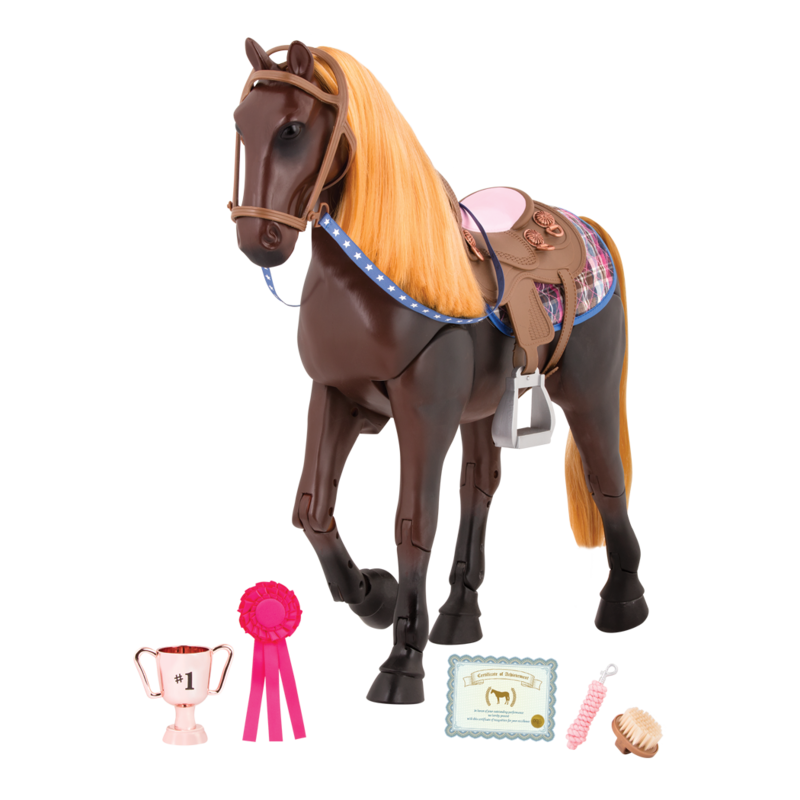 Do your dolls love traveling as much as Reese does? 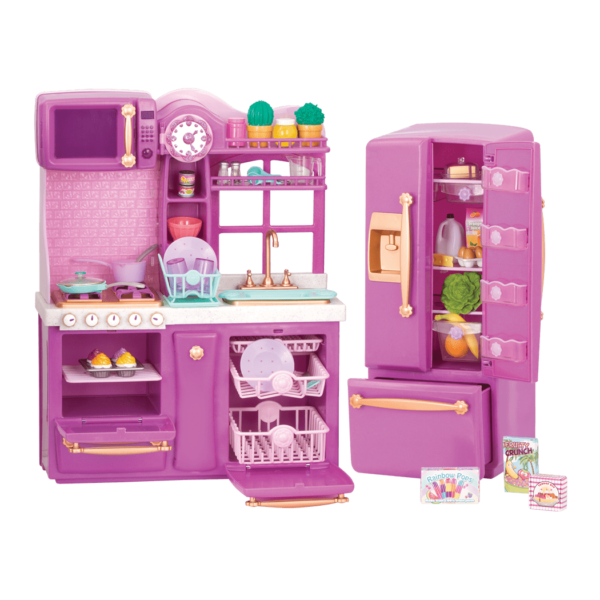 Set them up with the Well Traveled Luggage Set, a travel set for dolls that includes accessories mentioned in Reese’s storybook!